"A real gym! The staff and owner were so kind while I spent some time in Brick! 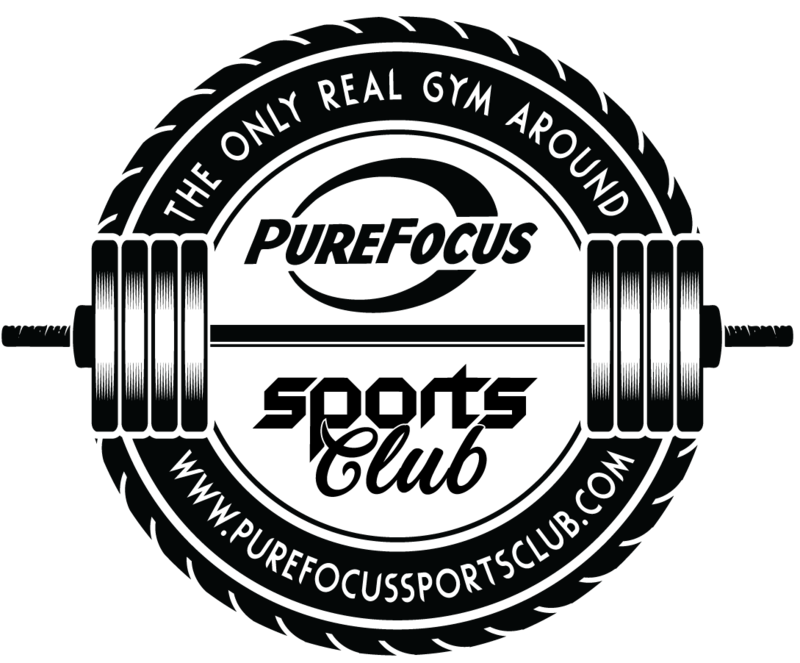 If you're looking for a good real gym to workout in and not a chain gym Pure Focus is the place to go!" "When I started looking for a gym in the Brick/Howell area I found Pure Focus listed online. I was looking for a local business instead of a franchise chain. I dropped by to get a tour and it was great from the start. Super welcoming, gave me full tour. The place has every piece of equipment you would ever need! I have been there for a year and a half now and honestly can say I have a new family there. They always know your name when you walk in, the members are welcoming and always happy to help if you need it (and I was such a newbie in the beginning I needed a lot!). The atmosphere is positive and there are really inspiring people who train there. If you are looking for personal training they have the best there! There are also some great classes from Boot Camps to Yoga. If you are looking for a new gym I would definitely recommend you stop here for good." "If you are serious about working out, getting in shape just to make a healthier life style or to compete, then this is where you need to be. Pure Focus has trainers (professional) not just someone with a certificate that will get you to where you want to be. Been a member about 1 1/2 years now and I'm glad I made the change. Members are inspiring, gym is awesome what are you waiting for." "Hands down best training available. You can't find a more experienced group of athletes anywhere that I know of." "I felt like I belonged the minute I took my first Zumba class with Joella! All the staff is welcoming and exceptionally helpful! Best Christmas gift my husband ever gave me!" I started working at Pure Focus with Chris two months after my second ACL reconstruction. I had 6 months before I was due for pre-season to begin my freshman year playing college soccer and I had a lot of work ahead of me. I contacted Chris for personal training at the gym to help me reach my pre-op strength, but not only that but to help me strengthen my body as a whole. When I first came to Chris my squats were uneven, I had weak calf muscles and glutes, and my quads were weak because of my previous surgery. I also needed to work on my upper body, because as a soccer player I was all legs. Chris was great with working with me because at first, I had limitations because of my knee, but he worked around it and found the best program for me. I got cleared at five months post op to play soccer again, and I attribute that to working with Chris. I worked with him twice a week and every time I went I got better and better. Before I knew it I would look in the mirror and see and even squat, or bench more weight than I thought was possible. After I got cleared I still work with Chris twice a week weight training and also started one day a week for conditioning. Recently, I took fifth place in my nationally ranked USAPL powerlifting completion. I squatted 365 lbs, benched 155 lbs and deadlifted 408 lbs! Without Pure Focus Sports Club and of Chris, my recovery would have never been as successful and quick as it was. Not only does Chris know his way around a gym, he is also an amazing person and truly gives his all when working with a client. "Best gym in New Jersey! The owners are helpful knowledgeable and truly family to the members." "Love it my son goes there twice a week and it's an amazing place the trainers know exactly what they're doing the people are very friendly and kind and you don't feel uncomfortable I would recommend this place to anybody who is looking to get themselves in shape start off at the gym I highly recommended it!" Awesome!!! I'm an old 1970's meathead. And in a day of "gyms" owned by coporate stooges who never trained and are in it strictly for the profits, this place is great. Good staff. Good owners. Straight up weight training. No one bothers you. If ur looking for "pizza night" and a bowl full of Tootsie Rolls at the front counter......well, you know where u can go. If you want to get in shape and be motivated this is the place!!! "A great gym to get down to business, friendly staff with a plethora of knowledge...Check'em out!" "Been going here for about 14 months now. Great gym, great people, great equipment, the only thing left is for Kent and Chris to make #theonlyrealgymaround even bigger!!!!!" Classes are fantastic something for anyone. Personnel friendly and the workout groups are fantastic, fun energy. "This gym is awesome! Kent & Chris made us feel welcomed and very much at home...Thank goodness for people like them who are dedicated to true fitness...not some cookie cutter version of a fitness center!" 'I love Debbie Mccarthy.. She does class Tuesday, Thursday and Saturday...She as always encourages me to strive to be stronger, also, trainer Dave Manfra teaches a class that makes me laugh as well as sweat!!" Love it my son goes there twice a week and it's an amazing place the trainers know exactly what they're doing the people are very friendly and kind and you don't feel uncomfortable I would recommend this place to anybody who is looking to get themselves in shape start off at the gym I highly highly recommended it! I think I started going to Pure Focus around 2012. After weight lifting in my friends garage for 2 years, the thought of going to a real gym was intimidating. Luckily, pure focus did not disappoint. The members and staff are real, kind, and down to earth. Everyone is so different with different goals, and the atmosphere is unmatchable. Even though I no longer live in NJ, whenever I go back, I always return to Pure Focus! Even though I no longer live in NJ, whenever I go back, I always return to Pure Focus! Old school power house gym! Easy parking, convenient location. Great for lifting, cardio HIIT, CrossFit and any other types of workouts. Lots of great machines and equipment. "Great atmosphere, staff and machines.. never too crowded which I always hated at other gyms." The storefront setting within a shopping center makes for a very easy in-and-out workout. I was impressed that Pure Focus offers a nearly comprehensive line of Nautilus Nitro strength training machines, so you can do a full-body circuit workout in twenty minutes. No excuses. Seems like everyone from young professionals to bodybuilders to senior citizens to soccer moms to college kids works out at Pure Focus. It has a friendly, chill vibe and the classic rock mix to keep you motivated.